I have a terrible stash building habit! I'm perfectly fine with my fabric addiction! 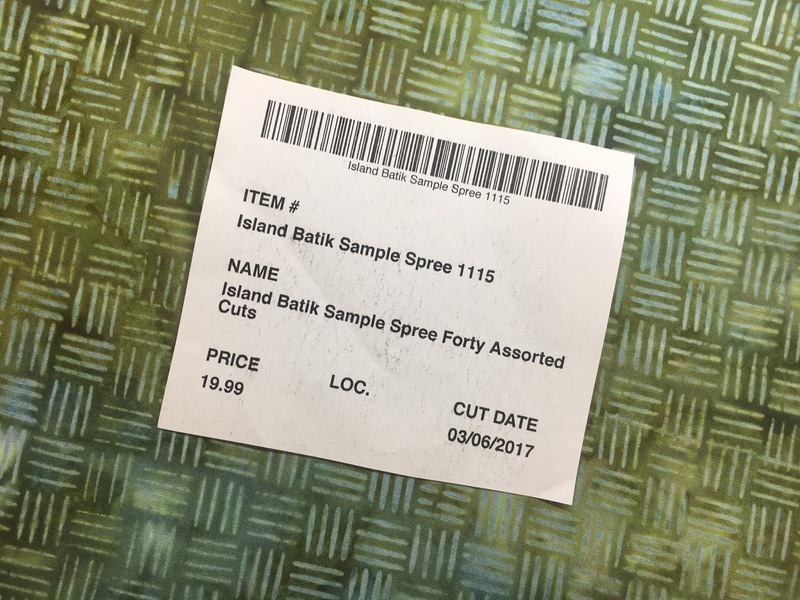 This is what a "sample spree" package of "Island Batik" fabric, from Hancock's of Paducah looks like. All with a price that can't be beat! The pieces are approximately 9" x 12" (mine were closer to 18" wide. 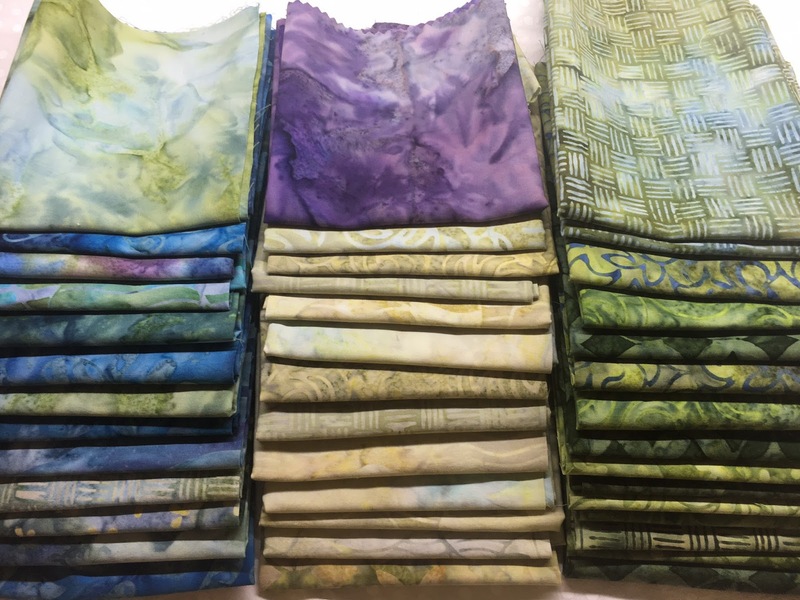 It's a great way to pad that stash for fusible applique or scrappy quilting projects! fun! why don't you just ask IB for more for a project?? I have batiks coming out of my ears!! Definitely can't resist a package like that!! Beautiful batiks Joan and what a great way to add to your stash! Hancock's of Paducah really has some great sales!